The team at ViOptix, Inc. is not only dedicated to providing clinicians with world-class technology that improves patient outcomes, the company also believes it is important to support patients and physicians by giving back to our community. As a company, ViOptix is proud to partner with the following organizations and events. “October 21st marks the annual National Breast Reconstruction Awareness Day, or BRA Day. This special initiative was designed to promote education, awareness and access for women who may wish to consider post-mastectomy breast reconstruction. Closing the loop on breast cancer means making sure that every woman who is diagnosed with breast cancer is aware of all her options to heal. 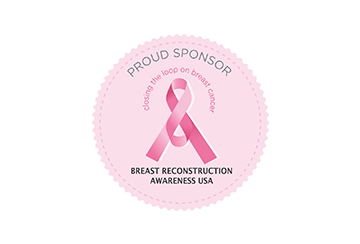 The Breast Reconstruction Awareness campaign, supported by national public events and media efforts, is made possible with the support and generosity of many sponsors and partners”. Founded in 2008, Pelotonia was established with the objective to fund life-saving cancer research. The model of Pelotonia remains simple: 100% of every dollar raised by Pelotonia Riders, Virtual Riders and Volunteers goes directly to fund cancer research at The Ohio State University Comprehensive Cancer Center—Arthur G. James Cancer Hospital and Richard J. Solove Research Institute. ViOptix, Inc. is doing their part by sponsoring participants in this event. The Women’s Microsurgery Group travel scholarship fosters early interest in reconstructive microsurgery in women medical students or residents. ViOptix is a proud sponsor of two travel scholarships, This year, ViOptix, Inc. will fund two travel scholarships for the Women’s Microsurgery Group, allowing the awardees to experience the ASRM Annual Meeting firsthand. Cleveland Clinic’s Plastic Surgery Residency dates back to 1979. Since that time, this prestigious program has graduated 48 residents who have gone on to successful careers in both the private and academic worlds. ViOptix helps to sponsor a selected resident to become a part of this learning environment that has a worldwide reputation and a strong heritage of innovation.